Are you looking to buy a home in Philadelphia but are not sure where the best place would be for you to settle? If this is the case, take a look at our handpicked selection of areas below – there are sure to be at least a few of them that you will be able to call home once you and your family have moved in and settled down. Not only were a few of the Revolutionary Wars fought in this area; to this day, there are numerous older homes that abound here as well. In addition, you are easily able to travel between your office or local shopping malls and a plethora of lush and serene public parks when you need to get away from it all. Schools in the area are classified as exceptional; incomes are higher here than in other parts of the state and more than 650,000 people from all walks of life are happy to classify it as home. Although this area is usually known for its extensive array of night life for students and younger singles, there are numerous restaurants and art galleries in the area as well. However, families will find that their needs are extremely well catered for here as well, as there are numerous public and private schools and a great public transport system as well. In addition, there are numerous properties available to purchase, with many of them being recently renovated and upgraded. A fantastic selection of schools and the ability to be within walking distance of numerous different amenities such as cafes, farmers markets and shopping areas have made Bryn Mawr one of the hottest suburbs in Philadelphia. There is a great hospital in the area and many new homes have been built here too. Additionally, there is a wide range of housing options available, meaning that it is affordable enough for many families to relocate and settle well here. Families who are looking to settle somewhere where they will be known by name and where the kids still play out in the streets should consider making this area their home. There are many great schools here and crime rates are exceptionally low as well. While there are a few amenities available here, you may have to travel a little further out if you are looking for more of a variety of shops and restaurants, as there are only some basic selections available here. Although it is necessary to make a short (think 30-minute) commute to work from here, East Greenwich has become an extremely popular area for young families and self-employed people to settle down in. With a population of approximately 5,000 residents, it is another example of an area where everyone knows each other by name and where community events abound over weekends and holidays. It is ideal for people who enjoy living a quiet life – there is no nightlife to speak of here. 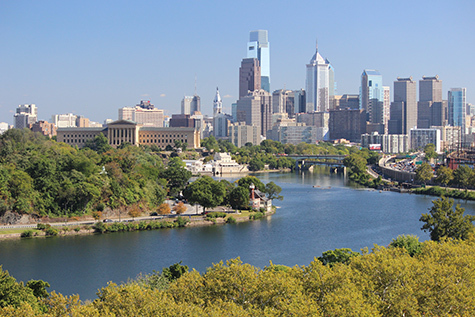 If you want to buy a home in Philadelphia and find any of the above mentioned areas appealing for you and your family, contact us today to see how we can help you find the home of your dreams. This entry was posted in Blog and tagged buy home philadelphia, philadelphia communities, philadelphia home purchase by Scott Li. Bookmark the permalink.